The Bridge, Construction in Process V1 event, Melbourne, Australia. 1998. 13 ft x 4 ft at base. 8 tonne of sea salt. 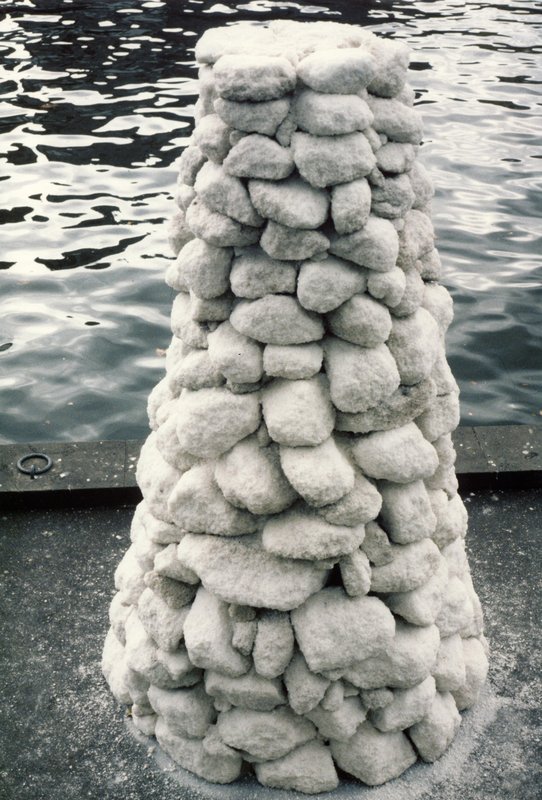 Salt Column with its companion panels of salt encrusted wall was constructed in a rural form of building technique that has been used for millennia to provide shelter and protection. 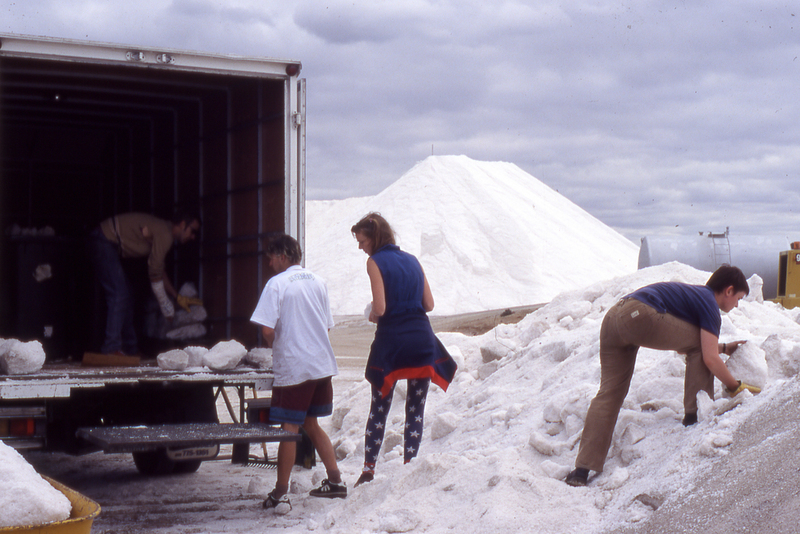 The use of salt in Australia came from the wish to explore the metaphoric properties of salt and to acknowledge the lives of those who were displaced by deportation and economic emigration. This displacement in turn displaced others. 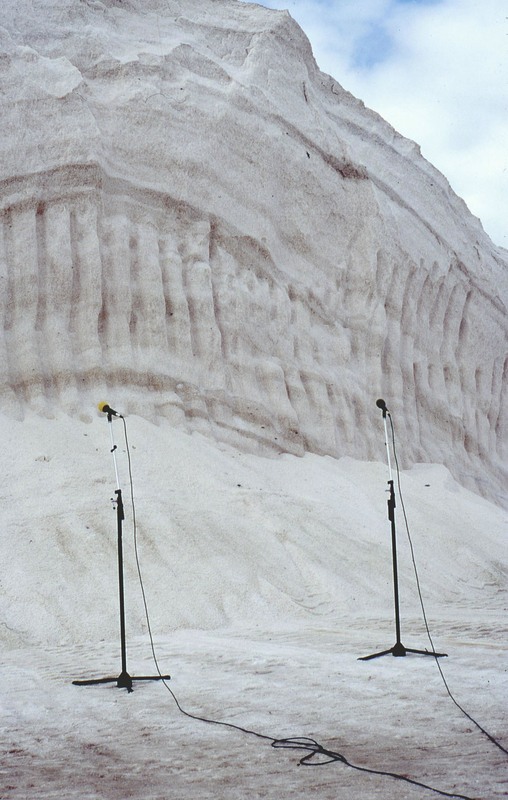 Sea salt speaks of vast bodies of oceans crossed, of tears shed and is recognised in world mythology as having the power to cleanse objects and places which may have become defiled.